Another useful tip I got through confidence coaching was to find a model of excellence- a writer you admire and want to be like. I don’t know why I struggled so much to find mine. I enjoy the work of Martin Amis, although my writing is not of that literary bent, and I can’t identify with Amis’s background. J.K. Rowling was suggested, but I thought a model who wrote closer to my genre (sort of thriller) would be more appropriate. Then it struck me- a successful writer who strays between genres, whose technique I admire and sometimes consciously emulate is Dean Koontz. There are websites which will give you, sometimes at a small cost, addresses of celebrities including writers or their agents. When I found Dean Koontz’s address it looked sort of familiar- and I realised that I had actually seen it before in several of his books. Dean actually wants people to write to him- this was going to be easy stalking. But would he reply? I wrote my letter, beginning ‘Dear Mr. Koontz…’ (I don’t think overfamiliarity is respectful,) thanked him for the pleasure I’d derived from his work and commented on his positive portrayal of people with learning disabilities. About three weeks later an envelope arrived from the States. It was packed with articles and pamphlets about writing and about Koontz’s work, and contained not only one but two letters. The first leter said that he was busy so had to send out a standard response, although the signature (‘for what it’s worth’) was his. But under the signature, in the same handwriting, was a note to see attached letter. The second letter explained that his attourney forbade him to comment on anyone’s writing. That is understandable- I would be the first to submit to a publisher with a letter which said Dean Koontz liked it. Scientists have created dinosaurs. Now they are loose. One example of a high concept Dean Koontz novel is ‘Velocity,’ although he admits that at his level he is free to experiment. Since writing to Dean Koontz I have also discovered his excellent website. Amongst other things it contains podcasts of Dean talking about his experiences as a writer, and they are well worth a listen. Although the cynical would say that it is excellent marketing and self-promotion I would like to think that this is a writer who looks after his fan base. Someone once said that successful people are not to be looked up to, but looked into. Choose your model of excellence, find out all that you can, write to them, if possible interview them, then do what they did. They made it. Why shouldn’t you? It may not pay immediately, or at all, but if you want to publish your thoughts to a potentially huge international audience, you can do so here and now. Blogs are one example, another is the ezine. All you have to do is write an article on a subject about which you are passionate (or at least know something about,) and upload it. Your first articles will take about a week to appear (after that you get upgraded to platinum, and it’s a shorter process.) All work is edited to make sure that it adheres to their rules of publication. The editors are very strict about the rules, which is a good thing, because it means that people are not disrespecting their readers, and children are not going to read things they shouldn’t. Eventually I got an email which said that I had contravened a rule by including a serious profanity in my article. I’m not sure whether they meant ****, or ***, so removed both, resubmitted, and it was immediately published. and it would stay there. An ezine article has to be about a subject other than yourself. You are, however, allowed to put in two ‘self-serving’ links to other sites. At first I submitted articles purely about writing. These had links to my Blog and YouTube videos. I then decided to write an article about another interest of mine- house rabbits. Now although I enjoy sharing knowledge (and it is a nice feeling for a writer to know that someone somewhere is reading his stuff, whatever it’s about) the main reason for my web presence is to get my novel ‘Tasting the Wind’ out there. But there is nothing more annoying than finding that an interesting article has links which are nothing to do with the subject, and are probably trying to sell you something. Another thing that you are asked not to do with your ezine articles is reproduce your Blog, because if one of your links is your blog page then it’s a little bit boring for your readers to be directed from your articles to identical content. I have to admit to doing this at first, although I have tried now to add some variation, hence the House Rabbit article. One Blog which I turned directly into an article was my ‘DaVinci Code’ parody, ‘The DaDisney Code.’ Interestingly, this got the most immediate hits and the greatest number of URL clicks- most of them checking, I imagine, if I was still roaming the street and, if so, was I in their neighbourhood. Which brings me to Dr. Who. The new series is currently approaching its climax on British Television. The show is so big that Dr.Who is ranking very highly as a top search on Google. So… my current ezine submission which, as I write this, is pending publication, is about Dr. Who. Did I tell you that I’d written a novel…? Once upon a time in Fairy Dairy land a man wrote a book. It was a special book because it contained a little bit of his heart and a lot of his soul. He tried to get it published, but no one would believe in the book like he did. One day he found a bottle, and when he rubbed it a genie popped out, who turned out to be an author. The Genie sent the man’s book to her publisher, they published the book, and the man lived happily ever after. Of course it doesn’t happen like that in the real world. 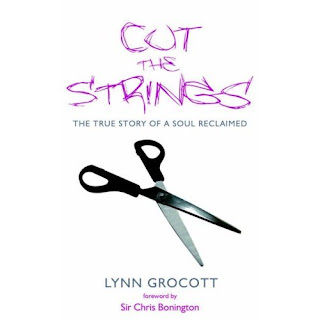 I had been reunited with my old friend, Lynn Grocott, who had already published. She got me in contact with her publisher, Lean Marketing, who were very helpful and encouraging, but as a small publishing house only specialised in specific titles and subjects. I got an email explaining that at present they were after books about people making their home in Spain. As ‘Tasting the Wind’ is about people with learning disabilities and a psychopathic nurse, I couldn’t find a single link between it and Spain (although Spain must have its fair share of both,) so gave up on that one. Lynn passed my details on to several of her contacts in the world of publishing and PR. The publishing contacts didn’t handle my sort of material, but I suddenly felt like a serious writer- emailing and phoning publishers and PRs for advice. After the years of writing and rejection slips I was getting quite a buzz from this. Now for a bit of name dropping. The networking in which I was suddenly involved was linked to the confidence coaching process (more on this in a later blog.) Lynn told me of a friend of hers who had become a successful author through using the methods she was teaching me. Soon I was in touch with Andy Cope. Admittedly I had never heard of him at that point, but if you have children you may have done. Andy is the author of the ‘Spy Dog’ series; he is presently working on Spy Dog 5. Andy wrote to me with some good advice (again, his agent couldn’t help me because he specialised in children’s literature, but hey, I’m communicating with another published author here!) and he asked if he could be my ‘Critical Buddy.’ I sent him a copy of ‘Tasting the Wind,’ which he is wading through at the moment. His reaction has been very positive and encouraging, although he admits to preferring lighter reading. But thanks, Andy, for taking the trouble. The main point I want to make here is the value of networking. Writing can be a lonely process, and the struggle to find a publisher can be even more lonely and demoralising. The internet abounds with information from and about writers, and linking up with people who are either travelling your way or who have arrived there can make the difference between carrying on or just lying down in the road. I was in W.H. Smiths one day. Looking at the childrens’ books I picked out the ‘Spy Dog,’ series. It seemed bizarre that in my pocket was a copy of an email from its author. I turned around and looked at the adult books. Finding ‘M’ I made a space. One day my book will be there.